비즈니스 및 레저 여행 모두를 충족시킬 수 있는 본 숙소(호텔 카사 리얼 93)는 도시에서 가장 유명한 지역 중 하나인 노스 (엠바시 지역)에 있습니다. 활기로 가득찬 도심이 단 4.5 km 거리에 있습니다. 본 숙소 주변에는 무세오 엘 치코, La Madriguera del Conejo Libreria, Galeria La Cometa 등과 같은 인기 명소가 있습니다. 본 숙소(호텔 카사 리얼 93)의 시설과 서비스는 투숙객에게 즐거운 숙박 경험을 선사합니다. 투숙객 편의와 편안함을 위해 숙소에서 Wi-Fi (무료/전 객실), 24시간 프런트 데스크, Wi-Fi (공공 장소), 주차장, 룸서비스 등을 제공합니다. 모든 객실은 편안하고 안락함을 선사해 줍니다. 많은 객실에서 편안함을 더하기 위해 평면 TV, 무선 인터넷(무료), 월풀욕조, 금연 객실, 책상 등을 제공합니다. 본 숙소 투숙 기간 다양한 여가 시설 등을 이용할 수 있습니다. 아주 좋은 위치에 있고 우수한 시설을 구비한 본 숙소(호텔 카사 리얼 93)는 보고타에서의 잊을 수 없는 추억을 위한 완벽한 장소입니다. 현지 세금법에 따라 콜롬비아의 시민권자는 체크인 시 VAT를 지불해야 합니다. 해당 세금은 예약 시 객실 요금에 포함되어 있지 않습니다. There is too much noise. Bring earplugs if you choose to stay here. The bed is not comfortable. There is no heat so request for more blankets coz it gets really cold at night. My family was quite pleased with our overall experience at the Casa Real 93. Staff was wonderful, breakfast pleasant, rooms delightful (but cold...it was the first 3 wks. of summer and Bogota can be cold then). We asked for a blanket to wrap around us when in the room until bedtime. The beds had big duvets and nice pillows, etc. Once in bed we were nice and warm. Our room had a fireplace, but it seemed silly to ask for a fire, so we didn't. It was summer, you know. All of the staff- front desk, house keeping, breakfast room, bellmen, manager, drivers that they got for our airport return were exceptionally friendly and helpful. We stayed 5 nights in 2 rooms (and at one time until one daughter left, had another room, making a total of 3 rooms) and loved every minute of it. It was great. I had a small problem at check out. Ensure your guests register before coming to your room to avoid additional room charges. Really neat rooms. Clean, modern and comfortable. The best amenity for me was the free breakfast, they make it the way you want. It was very convenient; is like you are in a mini studio, you get a living room, desk and a small kitchen. 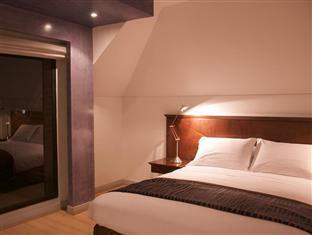 I was happy with my stay at the hotel, the room was comfortable and the staff were nice and polite. It was a 2 minute walk to parque 93 which has alot of great restaurants around it. A map of the area though would have been handy to give out to guests at check in. Wifi service was excellent. 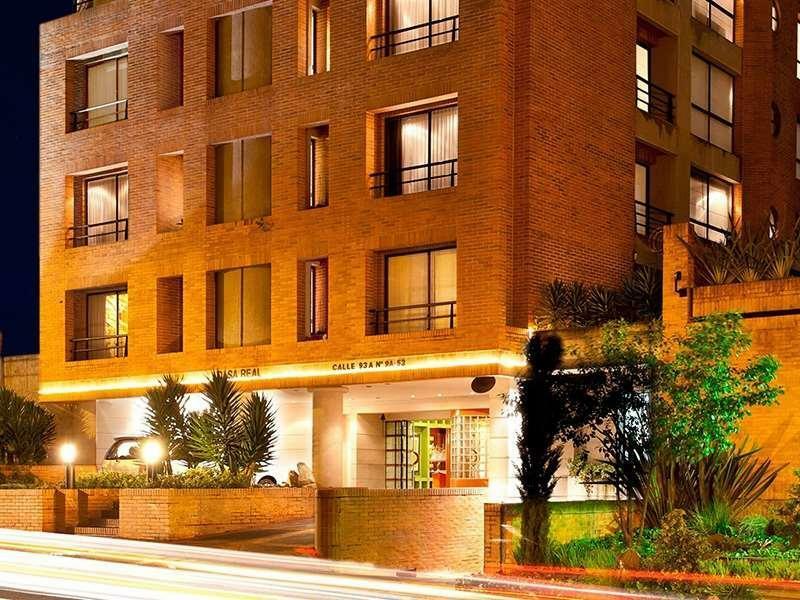 the hotel is located in a nice green neighborhood within a short taxi ride from downtown (depends on the traffic). the staff was very professional and helpful and a free breakfast was a nice touch. the rooms and furniture looked tired though and should be renovated ot replaced soon. 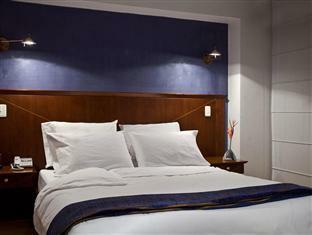 Stayed here the second time in one year and it could really become my regular hotel in Bogota now. Reasonable price, great location and very friendly service. Not to forget the big rooms with sofa lounge. Perfect. amazing place...huge suites and very helpful staff...best hotel of 2011..
estuvimos 4 noches y nos encontramos muy cómodos, la habitacion es grande, el baño tambien, el servicio fue bueno, y la limpieza también, lo que podrían mejorar es el desayuno que siempre es el mismo. no era la primera vez que me alojaba en el hotel, y como siempre, todo estuvo a lo altura de lo esperado. las habitaciones suite son de buen tamaño, como pequeños apàrtamentos. desde mi ultima estadia mejoraron el lugra para desayunos, que ahora es mas amplio y con mejores opciones. por lo demas, lo mejor sigue siendo su localizacion, en una zona tranquila pero a 2 minutos caminando de una de las mejores zonas de ocio de bogotá. 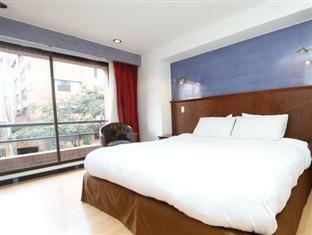 un excelente hotel hubicado en un sitio muy bueno, la habitación que me toco no tenia ruidos, y era muy amplia, el baño con ducha y bañera de hidromasaje, si vuelvo por bogotá sin duda será la primera opción, en el pago del hotel pague el traslado al aeropuerto y el servicio de traslado fué magnifico, y la honrradez del mismo, pues a la salida descubrieron que yo habia pagado de mas y me devolvieron la diferencia pues no vale lo mismo la recogida del aeropuero que el llevar, de destacar que fueron ellos los que descubrieron que yo habia pagado de mas, y fueron ellos los que sorpresivamente para mi me devolvieron dinero.